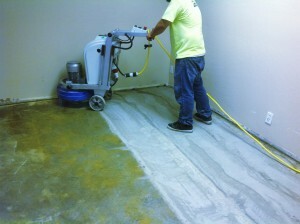 Southwest Coating Solutions is one of only a handful of companies that performs all of the necessary prep work in addition to the concrete coating systems we install, eliminating the need for another company to be involved. We monitor and control every step, so you can be sure no part of the process is overlooked. No matter the condition of your existing concrete surface, we are able to do whatever is necessary to ensure that a new coating will look beautiful and withstand use. Prep work can include grinding away existing worn out coatings, demolition and removal of existing surfaces, shot-blasting, and pressure washing. The price for prep work is included during free, on-site estimates, so you can be sure you are getting an accurate and comprehensive price for your project, start to finish!